Falco is next to Elvis or Marylin Monroe on the new Austrian Coca-Cola commercial! 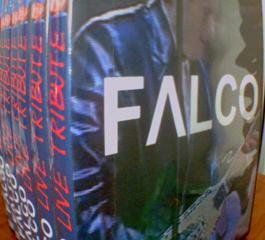 Falco-fr presents Falco live, Monarchy Now in Salzburg, 1993! Falco-fr comes with a sad news, Maria Holzel, Falcos mom, has passed otu on the 13th april. Falco-fr presents the only authorised Falco-double: Hans Peter Gill! Falco-fr presents the lyrics of the song The Spirit Never Dies! Falco-fr presents the song that made me discover Falco, Helden von Heute! Falco called his guitarist, Milan Polak, before the car crash, to make him come in the Dominican Republic for his birthday. The concert videos have been updated. Falco-fr opens again to continue to honor falco! The Live Tribute DVDs were sent, you should get them soon. I have finished burning the Live Tribute DVDs. I still have to print the box images. DVDs will be sent the 20 mai. If you want to get it ealier, I can send you now, but without picture box (I can send by mail the picture), for that, just send me a mail or a message here. You can now register for the DVD Live Tribute. I have prepared the tracklisting of the DVD I will released on the 6th Feb.
For the 10th birthday of Falco's death, falco-fr is going to realease a DVD, on Falco's concerts. Il will be a 30 track DVD, whom will come from a lot of Falco's concerts. This DVD will be available, for falco-fr members for about 5€ (shipping included) for Europe, and 10€ (shipping included) for the rest of the world. This price is simply the DVD's cost, the box's, the sleeve's and the shipping's, I'm not making any benefit. Further informations later on the site. PS: Do not hesitate to register on falco-fr, it's free! Falco-fr presents in exclusivity the videoclip of Auf der Flucht! Falco-fr presents a video of Michael Patrick Simoner's show, alias Falco Forever, now on Tour in Germany, Helden Von Heute. A new design, the private messages module, a brand new forum, falco-fr updates. Falco-fr présents two new videos, Falco and Niki Lauda's birthday, after the concert on which two exracts are already available, and Falco's first single, Chance to Dance. Falco-fr presents a homemade videoclip for the new Falco song, Männer des Westens 2007. 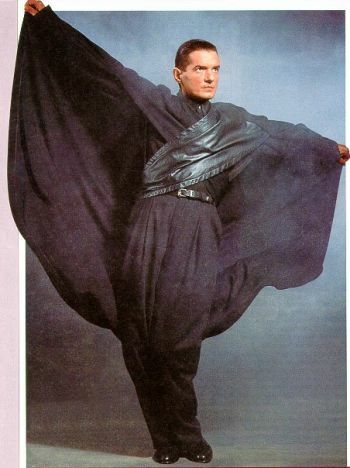 Falco-fr presents Falco's live song "Without You", never released. It's the concert of the Rathausplatz, 1985. Due to a big mysql bug, a lot of user accounts and forum posts have been lost. I've added a multilingual support for falco-fr, the five available langages are french/english/german/italian/spanish. To change the language you just have to click on the wished language on the right. I've just opened the forum, you can go and see (registration needed). The falco-fr site has just been created. It will be put online soon.